To the lovely Andrew, Rob & the Creatiques team .Words cannot describe how perfect you made our wedding day. Without you both I wouldn’t have looked nor felt like the Princess I did. Every bride-to-be wants the dream fairytale wedding, and I was no different..
After spending numerous weekends and hours trailing around bridal shops trying to find “The dress” I always went home empty handed and a rather unhappy bride-to-be….and then my mom found Creatiques.From the moment that we entered the boutique, the attention to detail and the personal touch that we received throughout from Rob was just magical – I knew that this would be where I’d find the dress of my dreams….and I wasn’t wrong. 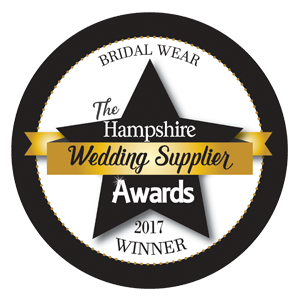 I honestly cannot thank you enough for ALL of your help, your expert knowledge and opinions in providing me with the most stunning wedding dress and bridesmaid dresses imaginable. Almost four weeks into married life and we still have friends and family commenting on how beautiful our dresses are and what amazing people you both are. The bridesmaids hair was just absolutely stunning, each complimenting them individually, which I just loved. As for my wedding hair – It was gorgeous! It was everything I had dreamt of and more. You truly do have such a wonderful talent. The professional, yet friendly service and the many laughs that we often shared during the planning and preparations to our big day will never be forgotten. I still cannot get over the after service that you have provided and the little personal touches here and there for both Stephen & I, all of which made our wedding the most happiest and perfect day of our lives. We are honoured that you were both such a big part of it.